"The whole experience was awesome. Thank you. ..."
"i have used Kevin for some smaller jobs and when I decided..."
"Great job! The whole process from scheduling to completion..."
What a GREAT looking project we completed in Palos Heights IL. We totally transformed this house. The dormers were rebuilt to allow a better looking roof line. The new CertainTeed Grand Manor shingles on the Mansard Roof are a huge upgrade, and changing the old aluminum siding material to a more modern James Hardie Fiber Cement Siding made a huge difference. The color choice of the darker Soffit, Fascia and Gutters made a great accent point also. Heavy overflow from gutters in rear of house pouring onto walk out basement stairs. I believe the downspout on the south side of the house might be completely clogged. Other corners are leaking on the north side second story. Believe I may need total replacement of gutter system on the house. Have been "getting by" with old gutters. You did my roof nearly 12 years ago and also replaced a section of gutter in the back. I have always been very happy with your work. Thank you. We need a quote on a new Roof, 1 Layer tear off and our shed needs one too. We are purchasing this home, closing is set for Oct 6th or earlier. Sellers will be putting on new 30yr roof before closing and we would preferably like to choose the company to do the job. Seller has a bid from somewhere already but apparently they do not do soffits and we would like the soffits replaced, preferably aluminum. Is that something you offer? We would like to present these estimates to seller ASAP as the roof is really the last thing to do before closing. Thank you so much for your time! 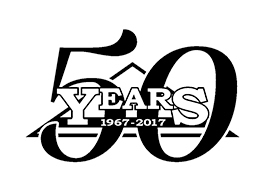 Stan's Roofing & Siding has served the residents of Palos Heights since 1967 with a wide range of roofing and siding services. Our employees are professionally trained and capable of installing or repairing your roof or siding quickly and efficiently. Finished pic, just an awesome change. Here you can see the dormers really standing out from the home. We have a gap around one of the HVAC stacks leading from our attic out through the roof and water is getting in when it rains. I need to have the gap sealed around the HVAC pipe. 4 year old gutter corner has a leak right above front door. It has deteriorated concrete stoop. Leaks with condensation as well as rain. Attempts at patching have failed. Want roof inspection and tear off proposal. House has 2 roofs, second one installed in 1990. Also would like a proposal for aluminum gutter replacement. I would like an est. on roof and some changes. there is only one layer on so it won't be a tearoff.